At three years old, I was known for having both curly hair and a penchant for writing the letter ‘N’ backwards. My hands, still those of a toddler, couldn’t quite grip a pencil. I could, however, hold a controller. My older brother was the proud and happy owner of a Nintendo Entertainment System. Now in his mid-30s, he is still the proud and happy owner of a NES. But in 1991, when I was three, and he, eleven, we’d station ourselves at the foot of his bed with a shared plate of Oreos and milk. We’d each grab a controller and stretch the cords across the itchy shag carpet. And then, we’d play. 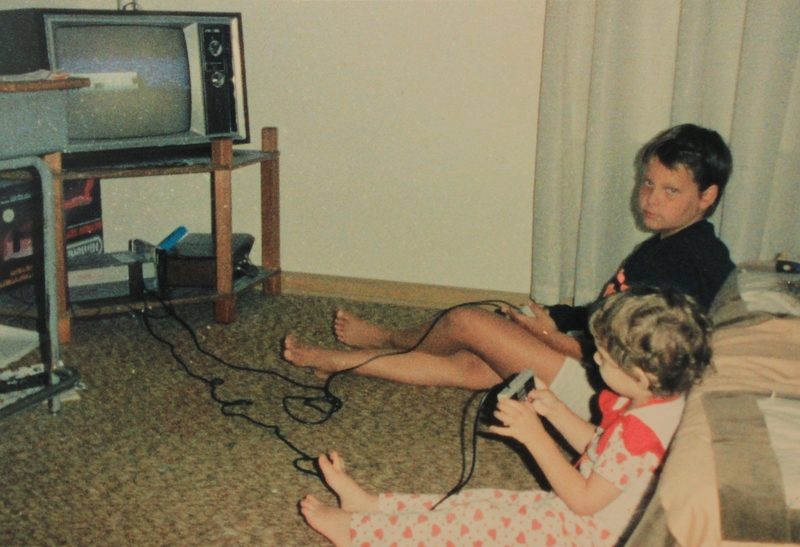 Super Mario Bros. was our go-to. Even if I didn’t play, I would watch my brother flatten Goombas, throw fireballs, and conquer pesky Koopa Troopas. Go, go, go, I’d yell excitedly, watching little Mario race across the small T.V. screen. Cory’s description of Joe & Mac reminded me of a conversation I’d had with my brother, when I’d asked if he knew why I’d started playing Nintendo in the first place. For my brother, watching World Wrestling Federation broadcasts was a religious experience. 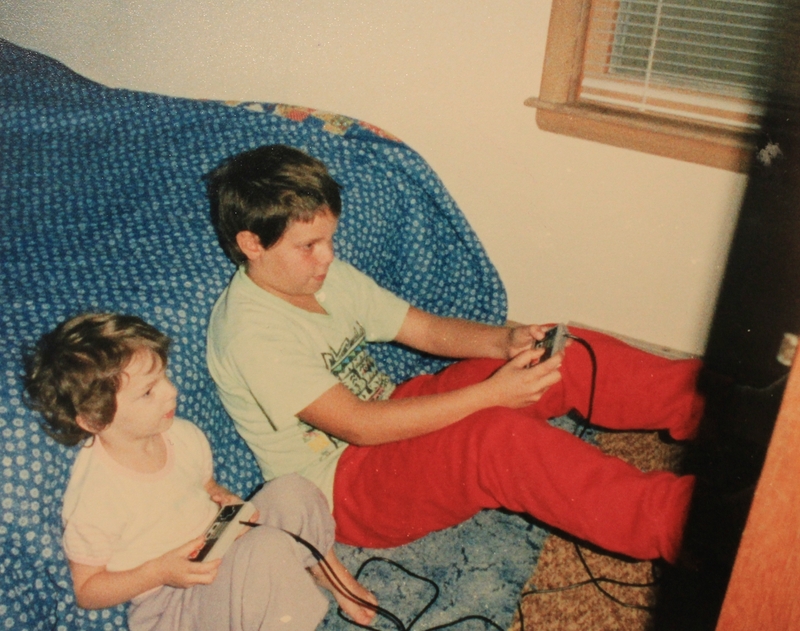 For me, the broadcasts meant I had more time to spend with my brother. It’s no surprise, then, that WWF WrestleMania became part of our repertoire. The game was released in 1989 by Acclaim Entertainment, and was the first WWF-licensed game for the NES. The game’s release signaled the beginning of a ten-year partnership between WWF and Acclaim, which also developed WWF Super WrestleMania for the SNES. While the NES version featured only six wrestlers, Super WrestleMania allowed an individual to select from ten characters, including The Undertaker and Jake “The Snake” Roberts, which were exclusive to the SNES version. Though Cory described the game’s controls as “clunky and unresponsive”—which I won’t contest—my memories include rapidly tapping any and all buttons in order to body-slam my way to a lucky victory. Additional NES games that my brother and I played and that were later adapted for the SNES include The Addams Family, Krusty’s Super Fun House, Teenage Mutant Ninja Turtles: Tournament Fighters, and Wayne’s World. Despite the release of newer technology, my brother remains a NES loyalist; in fact, he believes that most of the buttons on new controllers are “unnecessary.” When we received a Nintendo 64 for Christmas in 2000, my brother tried to play WWF WrestleMania 2000 for two days before declaring the N64 controller “too complicated.” (WWF WrestleMania 2000, by the way, was the first WWF game to be released after the organization ended its relationship with Acclaim.) I grew to love the system, however, and eventually purchased a PlayStation 2 as well. At thirteen years of age, my PS2 the most recent gaming system I own. It is also the first system entirely my own; my brother, as expected, won’t touch the third-party wireless controller I had for it. I have to smile, though, because, despite our differing viewpoints on modern gaming, we still love the platform games of our childhood. Check out more of Dawn’s work at her blog and follow her on Twitter. Beautiful pieces, thanks for sharing the memory…. My late parents are parts of the traditional family actually but they very supportive with my gaming hobby(they bought me a NES,playstation X and then my gaming PC), in the middle of society whom thought that video games will corrupt our children minds and made them unsocial, fat,and lazy stupid boy that only knew how to play(thankfully I’m not one of them, and I never met somebody like that along my gamer acquintance). Thank you so much for reading my story! Like you, I have a lot of fond memories of playing with my brother. I’m pretty sure he got frustrated with me at times, too, as I was just four years old, and I was finding ways to defeat him at his own games. (I attribute that to rapidly pressing any and all buttons, rather than attributing it to, you know, actual skill, haha.) And again, as you said, I think our mom just enjoyed watching us spend time together. Gaming can truly be a family affair. I know of a family who plays several different PC games together, and they really enjoy it. It’s not distracting, it hasn’t made them lazy; it encourages them to strategize and have fun with each other. I’m sure that they will have many happy memories of gaming, too. Again, thank you for such a personal comment; it was greatly appreciated.